1.1 In terms of the Bill of Rights, in section 32 of the Constitution of the Republic of South Africa, Act No.108 of 1996 every person has a right to access to information. In order to fulfill this constitutional obligation, the Promotion of Access to Information Act No. 2 of 2000 (“the Act”) was promulgated. 1.2 The purpose of the Act is to give effect to the constitutional right of access to any information held by the state, public and private bodies as well as information held by another person that is required for the exercise or protection of any right. 1.3.2 Promote a society in which people have access to information to enable them to more fully exercise and protect all their rights. 1.3.3.4 In manner that balances that right with any other rights, including such rights contained in the Bill of Rights in the Constitution. 2.1 The purpose of this manual is to facilitate requests for access to records of the South African National Blood Service (“SANBS”). 2.2 This manual is not exhaustive of, nor does it comprehensively deal with, every procedure provided for in the requests to SANBS in terms of the Act. 2.3 SANBS makes no representation and gives no undertaking or warranty that the information in this manual or this manual or of any information provided by SANBS or from any error therein. 2.4 All users irrevocably agree to submit exclusively to the laws of the Republic of South Africa and to the exclusive jurisdiction of the Courts of South Africa in respect of any dispute arising out of the use of this manual or any information provided by SANBS. This manual may be obtained by a Requestor: (i) on SANBS’ website; (ii) on receipt of a written request to the Information Officer or Deputy Information Officer; or (iii) at the South African Human Rights Commission. SANBS is a not for profit company, duly incorporated in terms of the Companies Act, 71 of 2008, and is licensed under section 53 of the National Health Act, 61 of 2003. SANBS’s mandate is to provide blood transfusion and related services. Postal address: SANBS, Private Bag X 14, Weltevreden Park, 1715. Physical address: No 1 and 2 Constantia Boulevard, Constantia Kloof, 1709. Telephone numbers: (011) 761 9111. Facsimile number: (011) 761 9113. Postal address: SANBS, Private Bag X 14, Weltevreden Park,1715. Telephone number: (011) 761 9338. Facsimile number: (011) 761 – 9113. 9.11 Skills Development Levies Act. 10.7 Requests for information that are clearly frivolous or vexatious, or which involve an unreasonable diversion of resources shall be refused. Donor consent questionnaire: contains relevant donor information and confidential questionnaire. Donor and donation record: contains relevant donor information and the numbers and frequencyof donations. “Bleeding” sheet: contains donor’s name, identity criteria and blood group. Blood pack label: contains label attached to the blood pack that contains all relevant donor details, the place of donation and the date of expiry of the blood. “Down-time” records: contains all relevant donor information for use in the event of the electronic information system being off-line. Document control records: contain information relating to the Quality Manual Policy documents and Standard Operating Procedures. Records index: contains an index of current and archived records relating to the quality of product and services provided. Quality Control results: contains information relating to tests performed on products and reagents. Complaints and non-conformance reports: contains information regarding nonconformance to standards and records of corrective actions taken. Records of superseded procedures, manuals and publications. Study and research records: contains information on research protocols, approval certificates data and study reports. Manufacturing documentation: contains information relating to growth factor production. Chronic wound treatment records: contains information and photographic records of treatment processes. Blood bank module: an interactive information system that integrates blood donor, donated blood unit, testing and patient information. Laboratory modules: an interactive information system that contains all relevant laboratory data. Accounts receivable module: contains interactive information system that stores and retrieves patient charge information. Databases: containing information relating to the screening and blood grouping of donated blood. Data repository system: stores historical donated blood records and is used to determine trend analyses and blood donor profiling. Clocking system: controls and records information relating to employee working hours and movements. All of the patient demographics. A name of a contact hospital where the report has to go to. An antibody investigation form is kept which contains the donor’s demographics and all the relevant serological tests for irregular blood groups antibodies with a conclusion attached. Antenatal records are kept of pregnant females, which include the patient’s name and clinic demographics. It also contains the blood group, Rh type and irregular antibody tests. A record is kept of the production of every batch of reagents. This includes the type of reagent, batch number, expiry date and the validity of the reagent for the specified test. A record of all HLA typing performed is kept; this will include the patient or donor demographics. It will also include the Histocompatibility type of the person. A record is kept of bone marrow donors where the HLA type and relevant details of the donor will be kept. A record is kept of all standard operating procedures, which are used throughout the SABS. This includes all of the relevant procedures followed. A record is kept of all tests performed related to quality throughout the SANBS. This includes the type of material and the test performed. A conclusion as to the validity of the reagent is added to every report. A label for the blood unit will be printed which contains all relevant details of the donor. A record is kept as to all of the various components that the unit of blood is divided into. The Memorandum of Incorporation of SANBS. Minutes of meetings of the members and directors of SANBS. 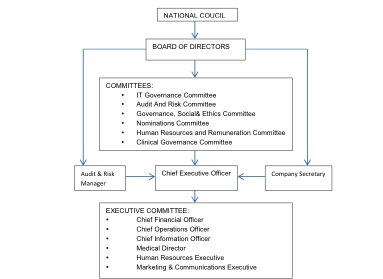 Register of directors of SANBS. Power of attorney agreements and a list of persons authorized to bind SANBS. License to practice as a blood transfusion service. Accounting records, books and documents of SANBS. Annual financial reports of SANBS. Details of the financial auditors of SANBS. Auditor’s reports in respect of audits conducted on SANBS. VAT, PAYE and UIF records. Documents relating to employee tax directives. Other information relating to employees of SANBS. All other medical records not previously specified, kept for medico-legal reasons. Agreements relating to trading activities of SANBS. Agency, supply and distribution agreements. A personal requester is a requester who is seeking access to a record containing personal information about the requester. SANBS will voluntarily provide the requested information, or give access to any record with regard to the requester’s personal information. The prescribed fee for reproduction of the information requested will be charged. A Requester (other than a personal requester) is entitled to request access to information on third parties. However, SANBS is not obliged to voluntarily grant access. A Requester must fulfill the prerequisites for access in terms of the Act, including the payment of the prescribed access fee. The Requester must comply with all the procedural requirements contained in the Act relating to the request for access to a record.A requester must complete the prescribed forms and make payment of a request fee and a deposit, if applicable. SANBS will process the request within 30 days. A Requester shall be informed, in writing, whether access is granted or denied. SANBS is public body as envisaged in the Act. The following is a guideline to assist Requestors in deciding which form is to be used when requesting information from SANBS in terms of this manual. 12.2.1 SANBS is a public body. A Requestor must use FORM A annexed hereto to request information. A fax number and/or postal address. If a request is made on behalf of another person, then the Requester must submit proof of the capacity in which the Requester is making the request to the reasonable satisfaction of the Information Officer. If an individual is unable to complete the prescribed form because of illiteracy or disability, such a person may make the request orally. The requester, if applicable, must pay the prescribed fee, before any further processing can take place. What the access fee will be should access be granted. Requests can be submitted electronically, via fax or posted to SANBS. 13.2 An access fee, which must be calculated by taking into account reproduction costs, search and preparation time and cost, as well as postal costs. When a request is received by the Information Officer or the Deputy Information Officer, such officer shall by notice request the Requester, other than a personal requester, to pay the prescribed request fee (if any), before the request can be processed. If a search for the record has been made and the preparation of the record for disclosure, including arrangement to make it available in the requested form, requires more than the hours prescribed in the regulations for this purpose, the Information Officer or the Deputy Information Officer shall notify the Requester to pay as a deposit, the prescribed portion of the access fee which would be payable if the request is granted. A Requester whose request for access to a record has been granted, must pay an access feefor reproduction and for search and preparation, and for any time reasonably required in excess of the prescribed hours to search for and prepare the record for disclosure including making arrangements to make it available in the request form. If a deposit has been paid in respect of a request for access, which is refused, then the Information Officer or Deputy Information Officer must repay the deposit to the Requester. SANBS will, within thirty (30) days of receipt of a request, decide whether to grant or decline the request and give notice with reasons to that effect. The thirty (30) day period within which SANBS has to decide whether to grant or refuse the request, may be extended for a further period of not more than thirty (30) days if a request is for a large number of information, or the request requires a search for information held at another office of SANBS and the information cannot reasonably be obtained within the original thirty (30) day period. SANBS will notify the requester in writing should an extension be sought. SANBS does not have internal appeal procedure in place to facilitate appeals against the decisions of the Information Officer or Deputy Information Officer. An aggrieved Requester may approach to seek appropriate relief. Members of the public who are blood donors influence the formulation of SANBS policies through their elected representatives, who are the members of SANBS, appointed at the National Council meetings. If SANBS searches for a record and it is believed that the record either does not exist or cannot be found, the Requester will be notified by way of an affidavit or affirmation. This will include the steps that were taken to try to locate the record. The prescribed forms and fees are available on the website of the Department of Justice and Constitutional Development at www.doj.gov.za, under the regulations section. In the provided space is inadequate, please continue on a separate folio and attach it to this form. The requester must sign all the additional folios. If you are prevented by a disability to read, view or listen to the record in the form of access provided for in 1 to 4 hereunder, state your disability and indicate which form the record is required. a) Compliance with your request in the specified form may depend on the form in which the record is available. b) Access in the form requested may be refused in certain circumstances. In such case you will be informed if access will be granted in another form. c) The fee payable for access to the record, if any, will be determined partly by the form in which access is requested. Note: that if the record is not available in the language you prefer, access may be granted in the language in which the record is available. In which language would you prefer the record? You will be notified in writing whether your request has been approved/ denied. If you wish to be informed in another manner, please specify the manner and provide the necessary particulars to enable compliance with your request. Signed at _______________________________ this ______ day of_________________ 20____. The following fees have been prescribed in the Regulations promulgated in terms of the Act and must be paid by a requester before SANBS contact persons can make any records requested available to the requester. For a transcription of visual images, for an A4-size page or part thereof. For a transcription of an audio record, or an A4-size page or part thereof. The request fee payable by a requester, other than a personal requester, referred to in regulation 11(2) is R50.00. For a transcription of an audio record, for an A4-size page or part thereof.